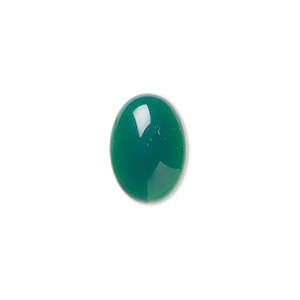 Cabochon, green agate (dyed), 18x13mm calibrated oval, B grade, Mohs hardness 6-1/2 to 7. Sold per pkg of 2. Item Number: H20-1125CB Have a question about this item? A beautiful, translucent emerald green stone, agate has traditionally been used to enhance forthrightness and decisiveness. Color may vary from dye lot to dye lot. 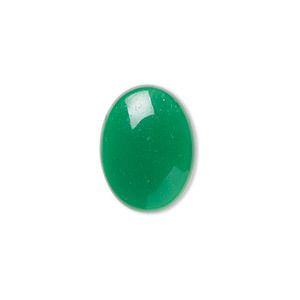 Cabochon, green agate (dyed), 10x8mm calibrated oval, B grade, Mohs hardness 6-1/2 to 7. Sold per pkg of 10. 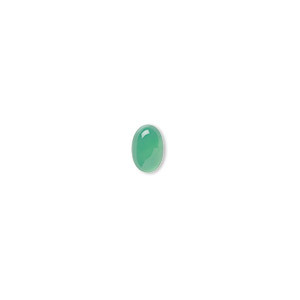 Cabochon, green agate (dyed), 14x10mm calibrated oval, B grade, Mohs hardness 6-1/2 to 7. Sold per pkg of 4. 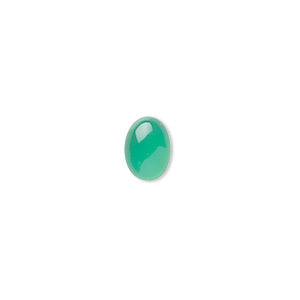 Cabochon, green agate (dyed), 6x4mm calibrated oval, B grade, Mohs hardness 6-1/2 to 7. Sold per pkg of 10. Cabochon, green agate (dyed), 12x10mm calibrated oval, B grade, Mohs hardness 6-1/2 to 7. Sold per pkg of 4. Cabochon, green agate (dyed), 16x12mm calibrated oval, B grade, Mohs hardness 6-1/2 to 7. Sold per pkg of 4. Cabochon, green agate (dyed), 7x5mm calibrated oval, B grade, Mohs hardness 6-1/2 to 7. Sold per pkg of 10. 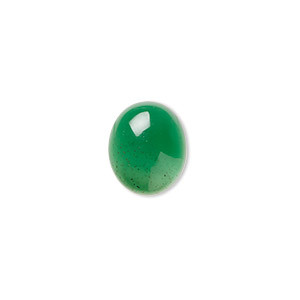 Cabochon, green agate (dyed), 8x6mm calibrated oval, B grade, Mohs hardness 6-1/2 to 7. Sold per pkg of 10. 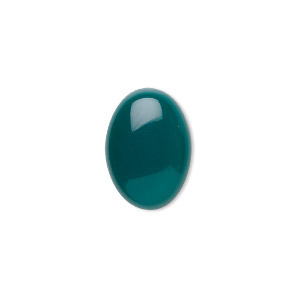 Cabochon, green agate (dyed), 9x7mm calibrated oval, B grade, Mohs hardness 6-1/2 to 7. Sold per pkg of 10. 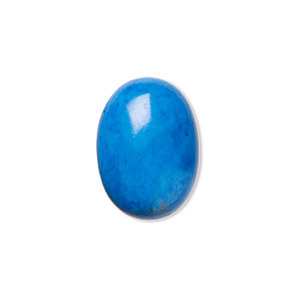 Cabochon, howlite (dyed), turquoise blue, 18x13mm calibrated oval, B grade, Mohs hardness 3 to 3-1/2. Sold per pkg of 4.